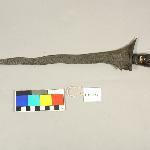 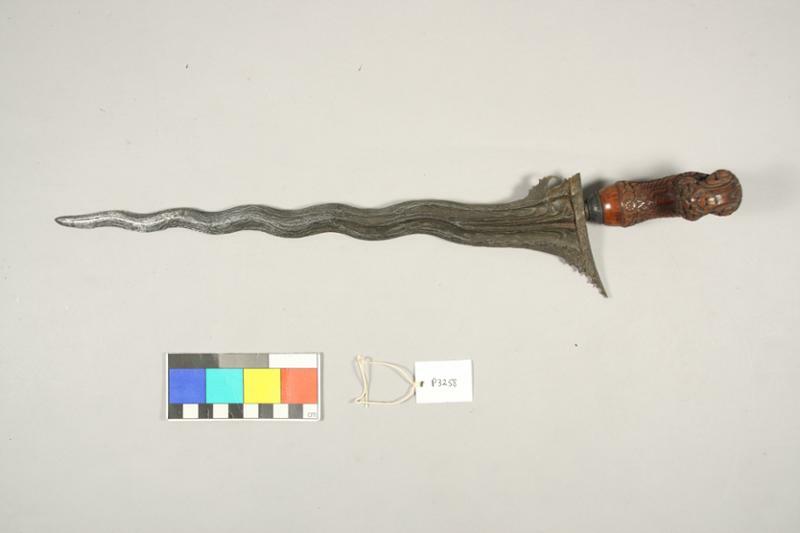 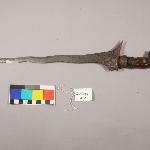 Dagger with wavy blade (11 curves), asymmetrically widening at base. 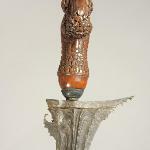 Bold wavy watery patterning (pamor). 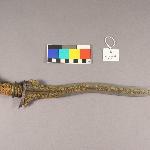 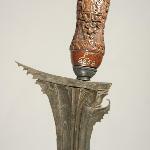 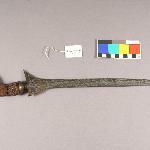 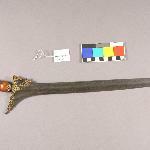 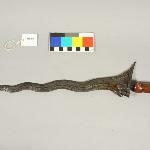 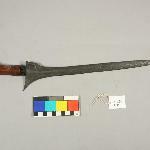 Medium brown wood hilt is strongly recurved, with carved vines, leaves and flowers. 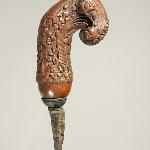 On inner face, an eagle with spread wings; at top of back a Dutch crown over a pair of tigers (?). 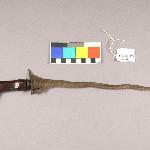 Ring and cup between blade and hilt are plain, with three rings of tiny beading.